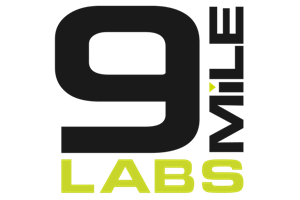 9Mile Labs, the new Seattle area startup accelerator for business-to-business companies, delivered nine new companies to potential investors Tuesday. Begun earlier this year on the premise that the high rejection rates of other startup accelerators such as Techstars indicated a need for more accelerators, 9Mile Labs set out “to build a world-class entrepreneurial community in the Pacific Northwest” with “an emphasis on community… one of the things that this area has in spades,” says 9Mile Labs partner Tom Casey. Indeed, each of the CEOs presenting their businesses to a crowd of about 200 supporters and potential investors at the Bell Harbor Conference Center on the Seattle waterfront praised the mentors they were connected with through the accelerator during the last five months. That network of dozens of mentors, along with work space at the SURF Incubator and a $20,000 investment, are the main benefits the startups receive in exchange for giving 4 to 8 percent equity stakes to 9Mile Labs. Veteran Seattle-area venture capitalist Enrique Godreau III, venture partner at 9Mile Labs, says that the willingness of experienced technology leaders to nurture entrepreneurs in this way contributes to the strength of the local innovation economy, evidenced most recently by a Ewing Marion Kauffman Foundation report (PDF) ranking the top U.S. metropolitan areas by high-tech startup density. In 1990, Seattle ranked 12th. In 2010, the latest year examined in the report, Seattle ranked 5th—the biggest jump in ranking of any large city measured. “We are very focused on helping to build a sustainable regional ecosystem that will continue to secure Seattle’s leading role as a startup hub,” he says. Godreau also notes that technology startup accelerators—built on a hybrid venture investment and education model—are a “fairly new exercise,” noting that Y Combinator in Silicon Valley began only in 2005. “There’s been remarkably little evidenced-based research to understand exactly why and how it is that startups benefit from these types of programs,” Godreau says. 9Mile is taking steps to change that. Godreau says entrepreneur, investor and University of Washington affiliate faculty member Skip Walter has led a team of researchers in conducting personality tests, interviews, and surveys of the participating entrepreneurs and mentors. They intend to continue tracking the companies for three years to try to better understand best practices in startup accelerators. The 9Mile companies were deliberately silent on their funding status and goals, Godreau says, reflecting the changing landscape for startup companies thanks to new regulations under the JOBS Act. Beginning Sept. 23, for the first time in 80 years, companies can engage in general funding solicitations—essentially publicizing that they are raising capital—but doing so requires the disclosure of more information about investors to the SEC to ensure it’s only taking money from so-called accredited investors. Godreau says 9Mile decided to err on the side of caution, and avoid inadvertently engaging in a general solicitation that could have implications for funding scenarios going forward. He says, however, that several of the companies are fully subscribed for their forthcoming capital needs, or well on their way to being so. Thanks for highlighting CadenceMD. We were in great company in the 9Mile Labs program. Thanks for coming out, supporting the program, and providing this coverage. Team MeritShare.